Tyler Childers has a new haircut (high and tight), and a bunch of new tour dates he’s just released for 2019. Though folks in the West and Midwest might be wondering what the hell they did to cheese Tyler Childers off (don’t worry, summer dates will be on the way soon enough), there’s a heaping helping of new dates for the South and Texas, as well as some international dates. Notable from Tyler’s upcoming tour dates are a stop at Mile 0 Fest in Key West Florida in February, dates in New Zealand and Australia, the Shaky Knees Festival Atlanta come early May, Rhythm N Blooms mid May in Knoxville, and FloydFest in late July. He’ll also be opening a couple of dates for Willie Nelson in New Braunfels, TX in April. Most important to note is that the new headlining dates will sell out, and probably immediately. 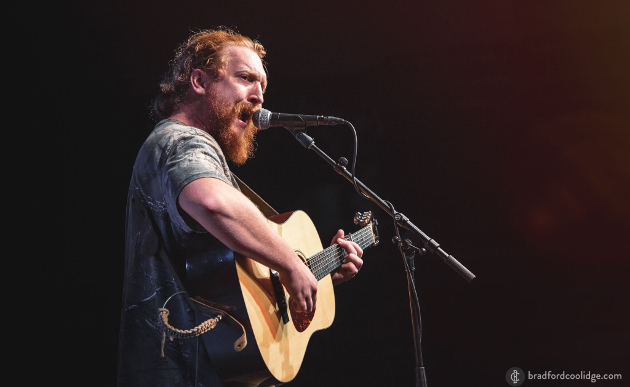 Tyler Childers has sold out basically every show he’s played in the latter half of 2018, and that momentum isn’t going to let up any time soon. In fact it’s probably going to get worse before it gets better, so plop down for tickets before you locked out. You might have already missed your chance to see him in an intimate venue. Now the only hope is to see him at all. Dammit. No dates in the Burgh. Just have to settle for Cody Jinks on Thursday. We are going to Jinks Thursday too! Didn’t you see Childers in Pittsburgh in March at Stage AE? He was also in Morgantown in May! Nope. I was in the midst of a massive home renovation on the old farmhouse I live in so concerts were put on hiatus last year. Back in the saddle now though. I’ll see you there I’ll be the guy with the overgrown beard standing next to a super tall dude. Chances are I’ll be drinking an iron city singing along way out of key. I’ll look for you! We are the ones usually getting kicked out (like last week at Steve Earle). However, we need to be tame Thursday. In fact, I looked at unloading the tickets but because there are two shows, I won’t even get my money back. No demand. My experience with people getting kicked out is that it often ruins the show for those around them as well. Have you considered any alternative strategies to avoid getting tossed? Coincidentally the last show i saw that at was a Tyler Childers show. The guy who started it didn’t even get tossed. He should have. I don’t want to ruin the concert for people around me. I purposely stay away from seated venues for that exact reason (missed Blackberry Smoke 2x because they came to a seated venue). But, I get out once or twice a month and we like to have fun. I threw my hat on the stage in support of a political view Earle had just made. I don’t think that ruined it for the other concert goers. I thought that’s what you did … hat tricks, graduations…. Other incidents happened cause I raised my hand too many times (it’s hard to clap with a drink in your hand) and I was yelling too loud before the encore (that guy actually got the boot). But I do like a rowdy venue with a mosh pit and screen protecting the artist from flying beer bottles. We saw him 3x last year (Pittsburgh, Morgantown, and Detroit) …. that’s Hank III and Willie Nelson reverence. I’d like to see him 3 more times in 2019 … maybe start at Covington. I’ll bet the show with Dave Matthews and Tim Reynolds is awesome. I’m still disappointed I missed out on the Tulsa show. This dude tours like crazy. Seen him three times this year, in three different cities (DC, LA, and Nashville) – one of which was just coincidental since I was on a business trip anyway. Heard around the way there’s been major label reps/scouts in the crowds at a bunch of shows. It’s a sellers market for Tyler right now, and I think he’s gonna cash in, big time, with the next album. He deserves it. Can’t wait. Been a good ride for a while. Had the pleasure of seeing a couple real intimate shows over the past couple years. I’ll keep going until prices me out. Sitting up here in Quebexico, Canada, feeling the pain of never being able to see Tyler Childers, Cody Jinks, American Aquarium, Ward Davis, the list goes on and on. 😂 You’d think so! But there are random smatterings of english speaking Country fans living in deprivation out here, dreaming about listening to real music, live. Thank god for Spotify, blogs like Saving Country Music, fb groups like Blacksheep, vinyls etc! Constantly streaming in the tractor, at work, in the Challenger. Come visit us in Alberta, we’ve got some country happenin’ live! Saw him in Seattle last month. Sold out fast (probably partly because we’re so damn starved for good country music here). He’ll probably be sold out immediately next time he makes it out here. I’m hoping he comes to Milwaukee, Wisconsin in 2019. Tried to get tickets for a 1200 seat show here in Columbia, SC. All sold out within 3 minutes. Damn! Wouldn’t be surprised to see some West Coast dates materialize this summer.